WASHINGTON (AP) — The Environmental Protection Agency acted again Thursday to ease rules on the sagging U.S. coal industry, this time scaling back what would have been a tough control on climate-changing emissions from any new coal plants. 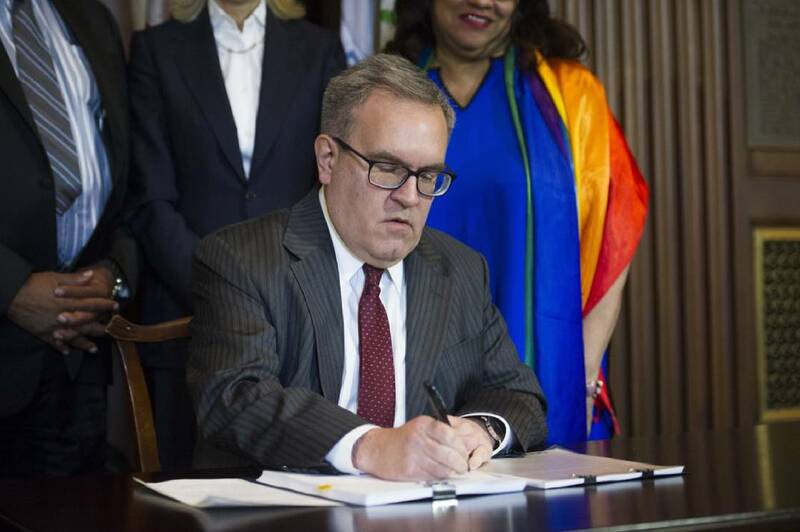 Asked about the harm that coal plant emission do people and the environment, Wheeler responded, "Having cheap electricity helps human health." Janet McCabe, an EPA air official under the Obama administration, and others challenged that. MaCabe in a statement cited the conclusion of the EPA's own staff earlier this year that pending rollbacks on existing coal plants would cause thousands of early deaths from the fine soot and dangerous particles and gases. Other Trump administration initiatives rolling aback climate change efforts would undo an Obama plan intended to shift the national electrical grid away from coal and toward cleaner-burning solar and wind power, and would relax pending tougher mileage standards for cars and light trucks. "In every rulemaking, they're placing their thumbs on the scale to prop up coal, at the expense of public health and the environment," Duffy said.